Coach Timi Gleason specializes in Leadership and Strategy coaching. She officially started coaching in 1999 with 15 years in HR Leadership, dot.com recruiting, and O.D. practitioner work at Cox Communications in San Diego, and Tribune Company out of Chicago, IL, previously. She has unique coaching and consulting expertise in business intuition, critical thinking, and Conversational Intelligence® at work. Her ideal client is an experienced, motivated senior leader who is upwardly mobile, is growing professionally, and is looking for ways to navigate the gap between the idealism of being a leader and the reality and challenges of leading. She finds that once her clients start taking on strategic responsibilities, “the pressure is ON” to perform at a faster pace. And often strategic thinking becomes buried in daily problem solving and firefighting. The 21st century market place is extremely demanding and she calmly walks the journey with her clients. She makes sure they can articulate their leadership style, align with the needs of their current roles they play and are focused on their potential for upward mobility. Timi helps clients find practical ways to develop their subordinate’s critical thinking skills so they can become autonomous and promotable. In a matter of weeks, clients see how to begin taking their departments and careers to the next level. Often, all leaders know is that they are expected to hunker down and make sure they meet our goals, tick off the numbers on their KPI’s, and work harder to understand what their bosses expect. Drawing on her 20+ years of actual leadership experience, Timi shows clients how to identify and sort through their biggest barriers, re-set perception with their peers, and attract their next promotion. Timi’s primary clients are Senior Managers in sales, sciences, legal, operations, marketing, HR and I.T. Timi is highly experienced in coaching with racially diverse leaders, and has firsthand experience, and a long history of role-modeling leadership presence in male-dominated industries. She works frequently with veteran personnel who transition into private industry. And about 15% of her clients are located in Germany, Great Britain, South Korea, China, Japan, Australia, Canada, Mexico, Switzerland, and the Middle East through large government and private sector biomedical and technology companies. Timi’s clientele is 80% San Diego local and Federal Government EE’s and corporations in North County and Northern California Silicon Valley Tech and Biomedical industries. Twenty-percent of Timi’s work is dedicated to helping high potential non-profit leaders with strategic planning and leadership development. Timi works regularly with national hero, Antoinette Tuff, who in 2013 talked down an active shooter and created the first and only incident of a school shooting where no deaths or injuries occurred. She is helping Antoinette create a duplicative system called “Groups of 20” so Antoinette can grow her NPO Kids on the Move for Success and sTEAM programs for grade school homeless and foster children in underserved areas of both Georgia and Texas. Seventy-percent of Timi’s clients meet with her remotely on the telephone or on video; 30% she meets in-person. Depending on needs, Timi and her client make sure they have a clearly definable Leadership Style, can articulate any needed behavior changes; are aligned on the differences between “managing versus leading”. Timi ensures her client is speaking a clear Leadership Language in preparation for promotional interviews; and when requested, she helps with debriefing 360 degree assessments. Timi provides coaching around Professional Development Plans and is agile in her ability to connect and discuss the following leadership assessments: Gallup Strengths; Birkman Behavioral; DISC; MBTI; Conversational Intelligence, Emotional Intelligence; or the How to Fascinate Assessment, which identifies your personal brand (i.e. how people see you). Timi meets with clients using online audio/video conferencing technology (zoom) and as needed, provides group coaching opportunities as well. Professionally, she is Certified in Stakeholder Centered Coaching and she offers Virtual (and Crowd-Sourced) strategic planning for NPO’s and private sector departments and companies who are remotely located or limited in their budget to bring their team members together for planning. Highly successful turning around belief systems and unproductive behaviors within 2-4 sessions. Creator of the 2020 Mastermind Club, a SDPCA program for members who have committed to transform their careers and lifestyles by July 1, 2020. One of four select clients to participate in the Spring graduate degree, USC School of Non-Profit Management Master’s Program for help to develop a 5-10 year global business plan and strategic road map. Senior Coach on various multi-year contracts to develop leaders business acumen within various local and federal government agencies. 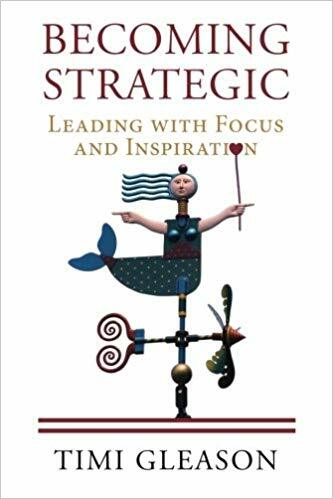 Author of Becoming Strategic: Leading with Focus and Inspiration (2015); Coach as Strategic Partner (2010); contributor to several executive coaching books. Selected by Dr. Judith Glaser/Conversational Intelligence as 1 of 9 “Dream Team” coaches. Selected by Marshall Goldsmith’s Organization: Stakeholder Centered Coaching to join their global team as a coach. Asked by Rotary District 5340 to run an extra year as Chapter President to save a troubled club. List affiliations and organizations to which you currently belong, or have previously. SDSU Aztec Alumni/Bachelor of Science degree in Family Studies & Consumer Sciences; resident of Scripps Ranch; proud mom of two successful young adults; have traveled throughout the mainland of Mexico. Favorite thing about working with federally-employed leaders is the exposure I have to cultural and racial diversity and the joy of our 1:1 discussions. Landmark Education: Advanced and Self-Expressed Leadership. Raised in San Francisco, CA. Still in high school during “The Summer of Love” in 1967.